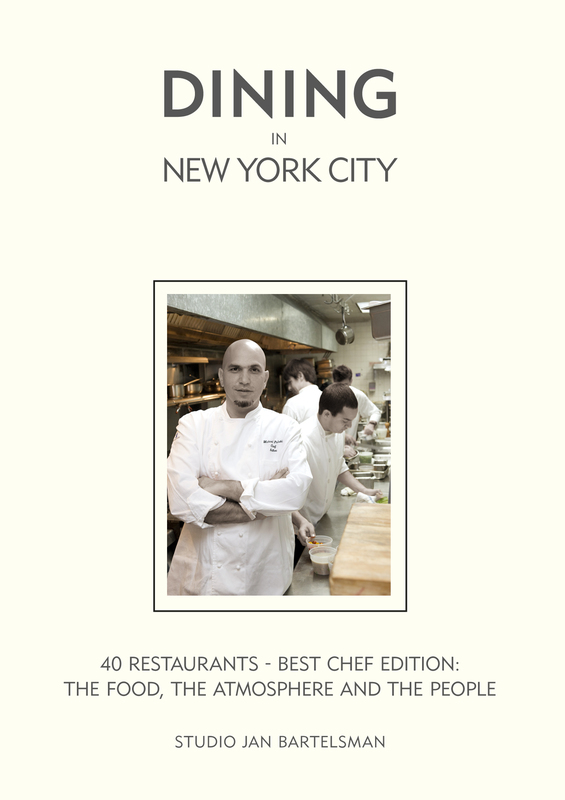 DINING in NEW YORK CITY --- Dining in New York is a fantastic guide for "Foodies" traveling in the Big Apple. It features 40 restaurants - Best Chef Edition: The Food, The Atmosphere and the People. Jan Bartelsman's concept and photography include details you want to know about the chef/owners, where to sit, what to eat, when to arrive, and endless details that will give you a first hand, advance taste for the great New York eating venues. Restaurants include Annisa, Anthos, Aureole, Babbo, Blue Hill, Bouley, Cafe Boulud, Chanterelle, Daniel, Degustation Wine & Tasting Bar, Del Posto, Devi, 15 East, Eleven Madison Park, Gilt, Gordeon Ramsay at The London, Gotham Bar & Grill, Gramercy Tavern, Il Mulino, Jean Jeorges, Jewel Bako, Jojo, Kuruma Zushi, L'Atelier de Joel Robuchon, Le Bernardin, Milos, The Modern, Nobu, Oceana, Per Se, Perry Street, Picholine, Scalini Fedeli, The Spotted Pig, Sushi Yasuda, Tocqueville, Veritas, Vong, Wallse, wd~50. "We reckoned that if the food was good, it should get a place in our book" Jan Bartelsman. Dining in New York is available at Amazon.com. Price: $19.95. Visit www.bartelsman.nl for additional information..